At age 12, Lexi P. from Maryland has already published two children's books about self-love and confidence. She inspires many girls to love the skin they're in. We got to ask Lexi a few questions to get to know her a little better and learn what it's like to be an Idea Girl, so read on for our interview with her. Dancing and singing. I am also involved in Girl Scouts, Brown Girl Village, and keep busy being a kidpreneur. Plastic surgeon; I want to help people. I also want to be an actress. I wrote and published two books. 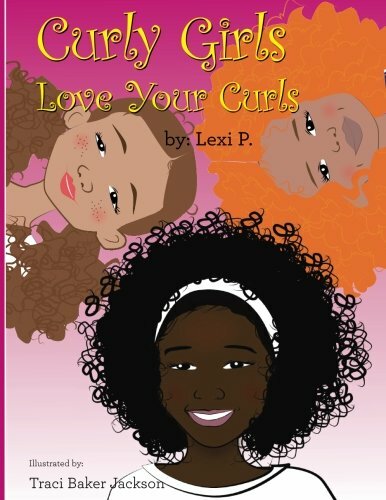 My first book was Curly Girls Love Your Curls and the second book was the Ice Cream Talk: Love the Skin You're In. Both books are all about self-love and building self-esteem. My next project is about community service, and I plan to write that over the summer. I wanted to write a book to help others girls who were going through what I was going through. I really didn't like my hair and I learned to love who I am. I want to help other girls learn to love themselves. 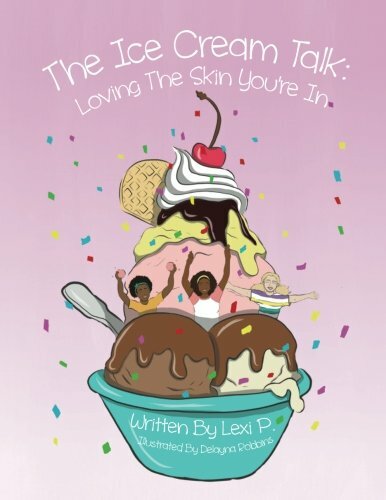 The Ice Cream Talk: Love the Skin You're In! The biggest challenge I faced was being able to balance my time. I now use a calendar and I also know I can't go to everything. I have to prioritize my business and education first. I have inspired so many other kids to follow their dreams. I have also helped girls feel better about themselves. My mom has gotten emails from parents and teachers saying how much my book has helped a girl in their lives. I need help getting my positive message out on a larger scale. Please help by promoting my books and my PSA with Verizon. I want my video to go viral and be seen in every classroom. I want to inspire as many kids as I can. Write your idea down and take steps each day to reach your goal. Don't give up and make sure you work hard each day, even if its for 15 minutes towards achieving your goal. Also tell you parents or a teacher and get them to help you. I believe everyone has a story. You are never too young to be an author or live your dreams. 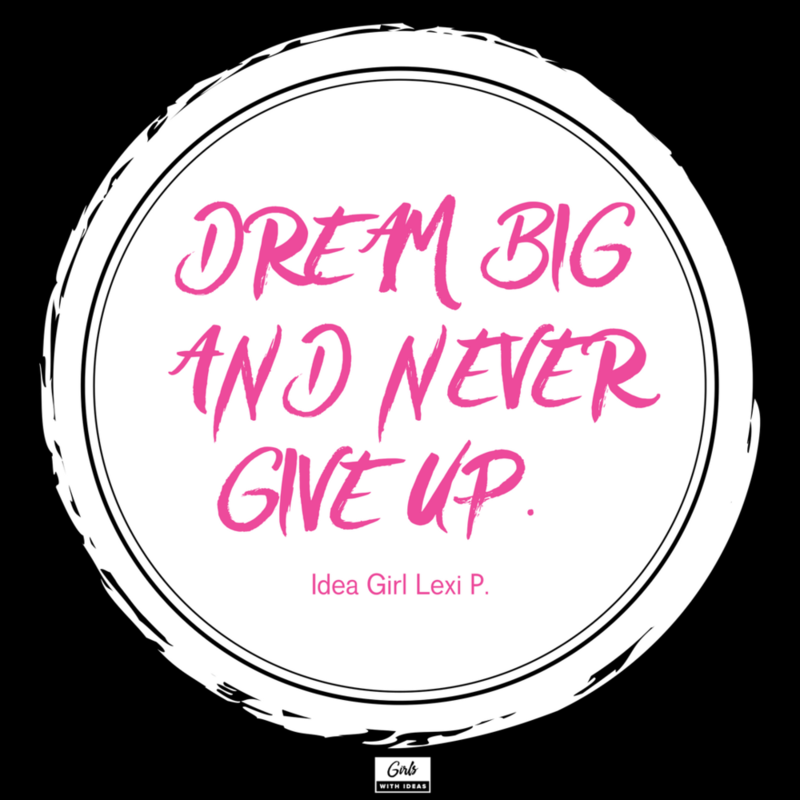 Dream BIG and never give up. If you know a girl with a story like Lexi's, nominate her to be our next featured idea girl using this link.